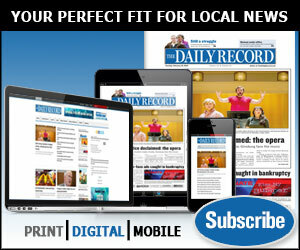 Complete access to news articles on this website is available to Daily Record subscribers who are logged in. Subscribers may login at the login tab, below. Others may join our audience of successful Marylanders with a subscription today. To purchase a reprint of this article, contact reprints@thedailyrecord.com. Heather Cobun is the trial courts reporter at The Daily Record. Got news? Call her at (443) 524-8191. Follow her on Twitter: @hcobun. Find out which law firms are the largest in Maryland in our new free annual report, Maryland's Largest Law Firms. Find out which law firms are the largest in Maryland in our free annual report, Maryland's Largest Law Firms. Wendy Dugan | Continental Realty Corp.